Having looked at Popular Training Programs you might notice some of them dictate the exact exercises to use, while others give you the opportunity for exercise selection. For these examples I’m going to use the Westside template which is known for its customisation. In the original WS4SB article you can find 6-8 possible exercises for each muscle group or movement – you only need to pick one of them. The problem comes in determining which of the exercises you should use for the program. One of the easiest ways to start narrowing down your options is to look at what equipment you’re going to have available when you work out. Some people train in a commercial gym, meaning they’ll have access to a wide array of machines, cables, pulleys and free weights, while others might be in a home gym with a barbell and a pair of dumbbells. If you find yourself constantly restricted by the equipment you have available then consider buying additional items. 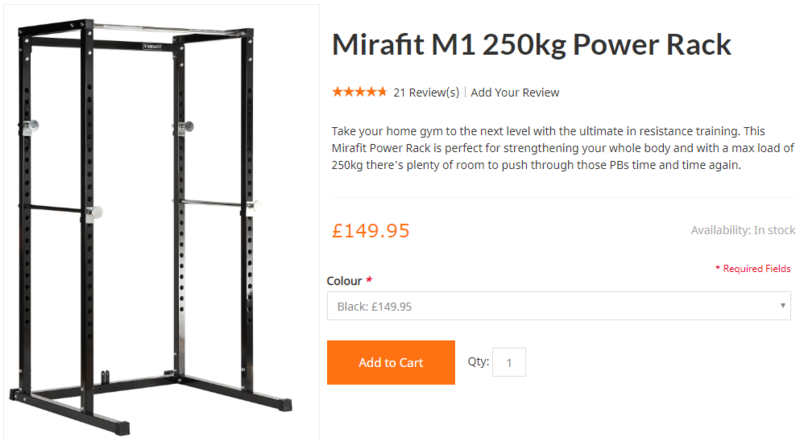 For example, I bought a Mirafit power rack for my garage having used individual squat stands for 9 years. For you the restriction might be as simple as not being able to go beyond 15kg with your dumbbells. Looking at the original example, a lot of the exercises require a barbell and an exercise bench, but there are body-weight options like dips too. If you have a fixed program but don’t have the equipment to do it, try searching online for alternative exercises – chances are other people have faced the same issue as you. 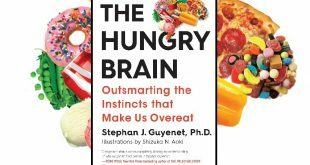 Simply put, have you heard of the exercise and are you confident you know how to do it with correct technique. 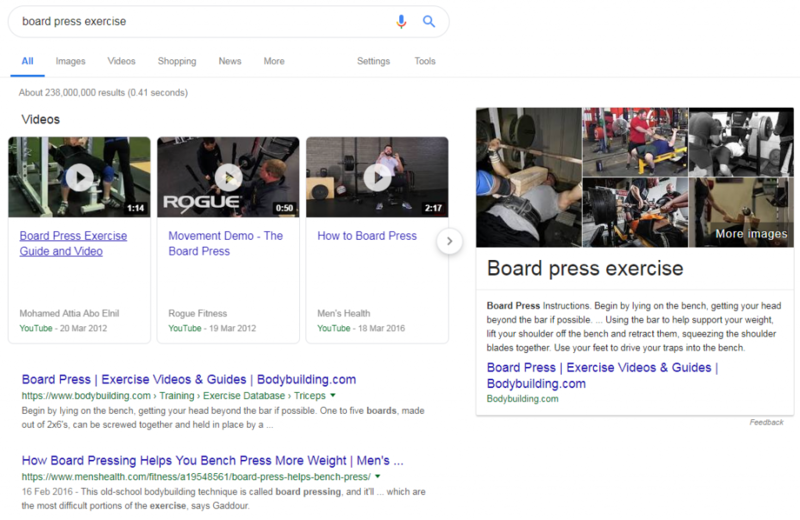 With access to internet search engines it’s easy enough to fill any gaps in knowledge, for example someone new to the gym may not know what Board Presses are. Search for a term and the word “exercise” and you’ll almost always get the right result. Above you can see that a Board Press is simply a bench press where one or more pieces of wood (boards) are placed on the chest to reduce the range of motion required for each rep. 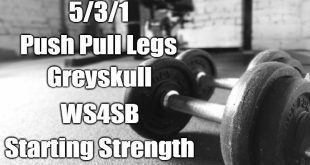 This goes back to equipment and whether you have wood and possibly a training partner to hold it in place during the set. The board press is used to work on ‘sticking points’, small ranges of the overall movement where you usually fail a rep. Looking up exercises you aren’t familiar with is a good way to gain an understanding of what variations there are for certain movements. Technique can also be understood, though not mastered, through online video tutorials. These pop up in the same search, and you can probably find a quality explanation of how to complete a board press and when you might use it in your training. Do you have a dodgy shoulder that flares up during a certain movement? 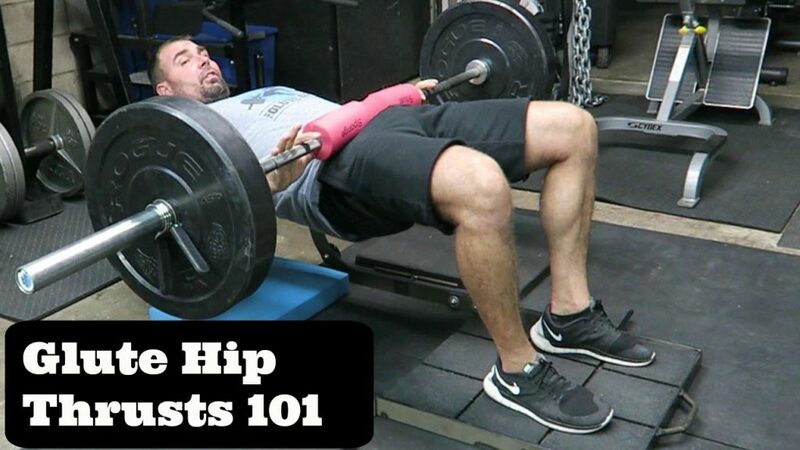 Does your lower back start playing up when you do front squats? Do you have safety bars when you squat? Another thing to bear in mind is whether you need to work around current injuries or want to minimise the risk of new ones. The gym is a place of self improvement, not self destruction, so avoiding dangerous exercises is not cowardice, it’s common sense. Any weighted exercise can be dangerous if you try to do it, so remember to also stay within your limitations and avoid ‘ego’ lifting. While the gym is a place to challenge yourself, it’s not going to be very motivating to walk in knowing you have an hour of exercises you detest. Be sure to include some of your favourite exercises where possible and give yourself a reason to be excited about that day’s session. 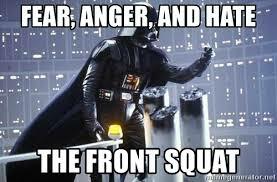 I loathe front squats and know that there are plenty of variations I can do which train the same muscle groups, so I can program to avoid them. Improvements come from consistency so don’t do anything to jeopardise that. If all else fails, stick to the basic compound movements. There’s a reason they feature in all the best programs, because a Back Squat, Deadlift, Overhead Press, Bench Press and Pull up variation are great cornerstones to a workout program. 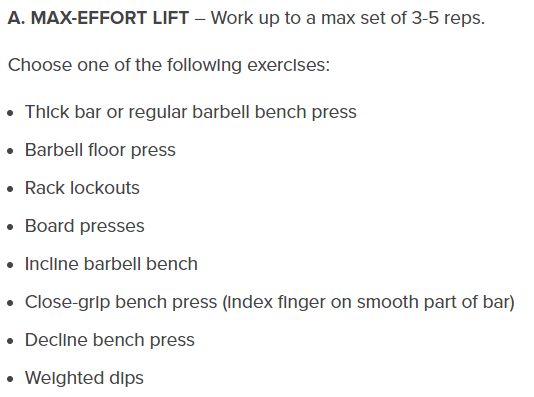 In the original example there were 8 upper body exercises to choose from and the first of those was a regular barbell bench press. It needn’t be any more complicated than that, so unless one of the above points is stopping you then go with a common movement. One final point: If you really are writing a program from scratch then don’t over-complicate it by cramming in every exercise under the sun. Yes you will find very compelling reasons why nine different leg exercises deserve to be in a program but that doesn’t mean they all need to appear. A very common trap that new, and even experienced lifters fall into is reading an article about an exercise and immediately wanting to include it in their program. Google Trend for “Hip Thrust” since 2004. I remember doing hip thrusts in 2010 having stumbled across the work of “The Glute Guy” Bret Contreras during my dissertation research. What followed was an explosion in popularity, and you’d be forgiven for thinking they were a fundamental part of any lower body program. However, people coped just fine without them up to that point, so there’s really no such thing as an essential exercise. The next article will discuss Designing Your Own Program. It’s not essential for a beginner but is a good way to familiarise yourself with the basic concepts needed to succeed.